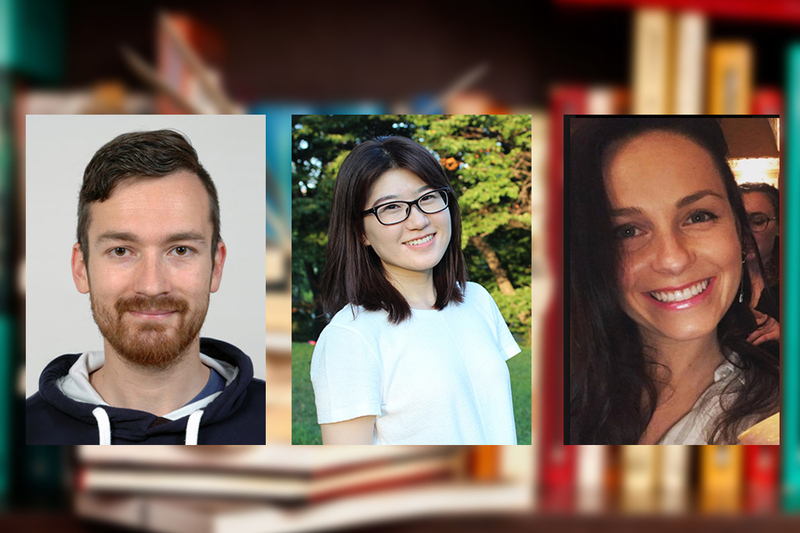 For the first time, three graduate students will receive the Dietrich College of Humanities and Social Sciences’ Graduate Student Teaching Award. All graduate students in the Dietrich College are eligible for nomination, and each department in the college may nominate one graduate student. This year’s winners are from the Departments of Social and Decision Sciences, Modern Languages and English. Theoretical models of economics and psychology motivate Molnar’s Ph.D. research. These interests are reflected in courses he has taught, including undergraduate and graduate courses in behavioral economics. In her nomination letter, Linda Babcock, the James. M. Walton Professor of Economics and head of the Social and Decision Science Department, noted Molnar’s exceptional dedication to the students. “Andras has always sought additional ways to improve the quality of courses, facilitate students’ progress and create a friendly, inclusive and interactive learning environment. By doing so, he not only demonstrated his excellent teaching and organizational skills, but he consistently and by far exceeded our expectations,” Babcock said. As a Ph.D. candidate in the Department of Modern Languages’ Second Language Acquisition Program, Qin’s research areas include pedagogy and assessment, and second language pragmatics. While at Carnegie Mellon University, Qin has taught courses in Chinese in elementary, intermediate and advanced levels as well as "Introduction to Chinese Language and Culture." Susan G. Polansky, teaching professor of Hispanic Studies and head of the Modern Languages Department, noted Qin’s versatility and attentiveness in the classroom. Smith is a Ph.D. candidate in the Department of English’s Literary and Cultural Studies Program. In May, she will defend her dissertation, which examines the intersections between gender and religion in British novels that respond to the French Revolution. Her teaching interests include 18th century literature, gender studies, composition, Shakespeare, the Gothic and trends in commercial literature. Smith’s Interpretation & Argument class on Harry Potter and popular culture has been one of the most well-received courses offered by the department. Associate Professor of English, Marian Aguiar wrote about Smith’s ability to create a dynamic learning environment in her nomination letter. Pictured above are Andras Molnar, Sophie Qin and Jamie Smith.